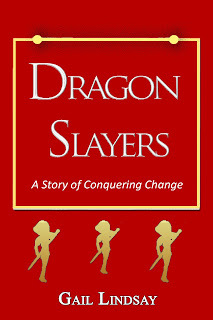 Dragon Slayers is a short story about the challenges and rewards of leading change. Gail Lindsay uses the metaphor of dragon slayers and dragons to describe leadership strategies for transforming competitive, independent minded individuals into a team capable of significant change. 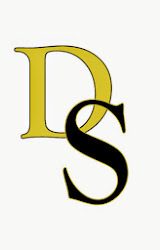 Dragon Slayers provides unique insights for navigating change when difficult people and personalities emerge that can often block, barricade and detour the road to change. Three dragon slayers (Passion, Wisdom and Valor) influence seven unique dragons to team up and open the road leading from the Valley of Good Enough to the Land of Progress. Come along on the journey for an introduction to the common dragons of change and the tactical techniques for conquering them. Interested in a Dragon Slayer Seminar? Contact the author. WHEN IT COMES TO CHANGE ARE YOU A DRAGON OR A DRAGON SLAYER? Gail Lindsay's unique insights into leadership are the result of a career as a registered nurse and health care leader spanning over 30 years. During that time, she was frequently faced with the challenge of leading large teams and entire organizations through the change process. "DRAGONS" exist in every organization. They believe change is a threat and are resistant to it. They need a DRAGON SLAYER to influence them for change to occur. DRAGON SLAYERS are skilled leaders. They guide and influence DRAGONS to create positive change. NOW AVAILABLE DRAGON SLAYER GEAR!